I hope you are all enjoying the end of the academic year! There have been several changes on the political front since my last message in January. First, new investments in non-targeted basic research were announced in the most recent federal budget. No doubt that the three granting councils were relieved with the increases and are hopeful that this is just a first step! Canada’s other funding agencies must certainly share the sentiment. The messages from the federal government are more and more reassuring and aim to strengthen our reliance on research results in decision making. We can only encourage the administration to build on this momentum. Here in Québec, the past few months have brought about departmental changes. Since late January, the Fonds de recherche du Québec (FRQ) are under the direction of Dominique Anglade, minister of economy, science and innovation. As requested by several groups, research and innovation were reassigned to the same department—a decision with which I am very satisfied. I had the pleasure of meeting with Minister Anglade several times and am very confident that we will make a strong team focused on enhancing the value of research and science in Québec. Our most pressing issue is the budgets of the FRQ, which have not been increased in several years. 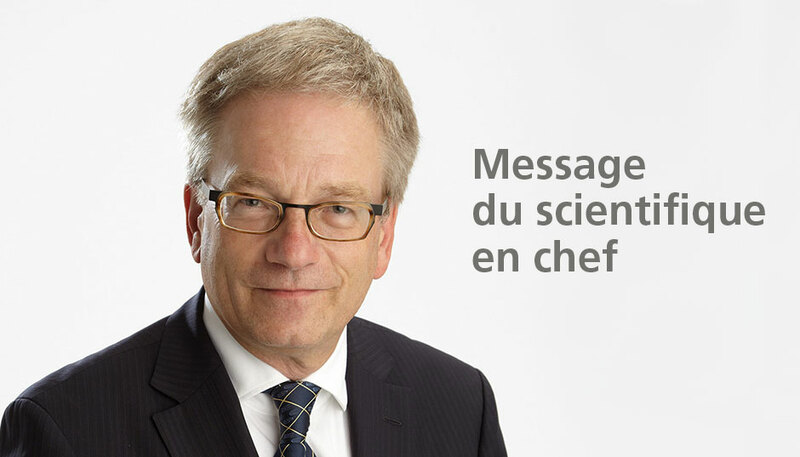 Just as they are at the federal level, reinvestments are required to ensure the development of a true knowledge society in Québec driven by the excellence of our researchers and the new generations of experts. Research and innovation are vital to the establishment of a strong economy that will benefit all Québecers. In the upcoming months, Minister Anglade and her team, along with the scientific directors and all of us at the FRQ—myself included—will work to demonstrate the need to invest in research and innovation and especially in the FRQ. Your support in this regard is essential. Minister Anglade was also mandated by Premier Couillard to define the provincial government’s digital strategy. I will work in close collaboration with her and her team to ensure that the plan is ambitious, innovative and commensurate with Québec’s hopes and needs. There are several digital experts in our academic and private sectors and we have access to affordable and renewable sources of green energy. We must be visionaries. Québec has already taken somewhat of a leadership role in the digital culture sector and, more recently, in the digital economy with the launch of an action plan that was well received by stakeholders this past May. The digital strategy will be jointly developed and stem from a collaborative platform on which citizens, businesses and organizations will have the opportunity to voice their concerns and aspirations (summer 2016 to spring 2017). Of course, there is still much ground left to cover to ensure that Québec is at the cutting edge of the field, which is likely to revolutionize the world and every activity sector. In addition, on May 30 at the CORIM, Minister Anglade mentioned that she was launching the initiative to develop a research and innovation strategy to be released in winter 2017. While acknowledging the challenges of fostering the promotion of innovative research results, she underscored the importance of supporting basic research. The consultation process could be based on the one implemented for the digital strategy. It is also very important to maintain close ties with Hélène David, minister of higher education, and her team. In fact, almost 40% of the FRQ’s budgets are dedicated to student-researcher training. It is critical to work in collaboration with the department to continue to update our programs and ensure that they are in line with the realities that tomorrow’s students and researchers will face. For example, students are seeking increased flexibility and crossover in their education. A partnership between the ministry, the FRQ and our colleges and universities is therefore among our key priorities. The same applies to the development of new approaches to recruit a greater number of excellent foreign students in order to offset the growing lack of young experts enrolled in several of our college and university programs. In this context, I recently took part in a mission to China led by Christine St-Pierre, minister of international relations and the Francophonie, to explore new partnership and student recruitment opportunities. Stay tuned for more on that initiative. Since the start of the year, we have continued to organize our Science and Society events through our partnerships with Publications BLD inc. (Les Explorateurs, Les Débrouillards and Curium), the Palais des Congrès de Montréal on researcher involvement in the organization of major scientific conferences, the Governor General’s committee on the granting of international awards and recognition to Canadian researchers, and the National Assembly of Québec with our science breakfasts for elected officials—the most recent of which focused on the topic of genetic editing and CRISPR-Cas9. In addition, along with universities and Agence Science Presse, we are developing a partnership on proof of facts. Starting this year, our programs will provide more recognition for student and researcher participation in events such as those held as part of the Science and Society series. We are also very pleased to have collaborated with research professionals’ unions to create an excellence award for these key actors in our ecosystem. The names of the three 2016 winners were recently announced on the websites of the FRQ. We took part in several seminars at the Acfas conference, including one entitled Entre campagnes et villes organized by UQAM in collaboration with the FRQ and another on the social sciences and humanities and innovation organized by the FRQSC in collaboration with the CNRS (France) and SSHRC. The presentations and discussions will prove valuable to the next steps. Also, the website of the chief scientist has just been launched. It includes a search engine to access hundreds of research project capsules by theme, impact and region in Québec, which should prove useful to elected officials, members of government, researchers, students and the general public. Finally, the FRQ in collaboration with the Canada Foundation for Innovation (CFI) will host a day of discussion in late September. The meeting will focus on support for specialized human resources, the upgrade of equipment and service contracts in the medium term for CFI-funded research infrastructures (installations and cutting-edge equipment). Federal research councils and other provincial organizations will be invited to attend.